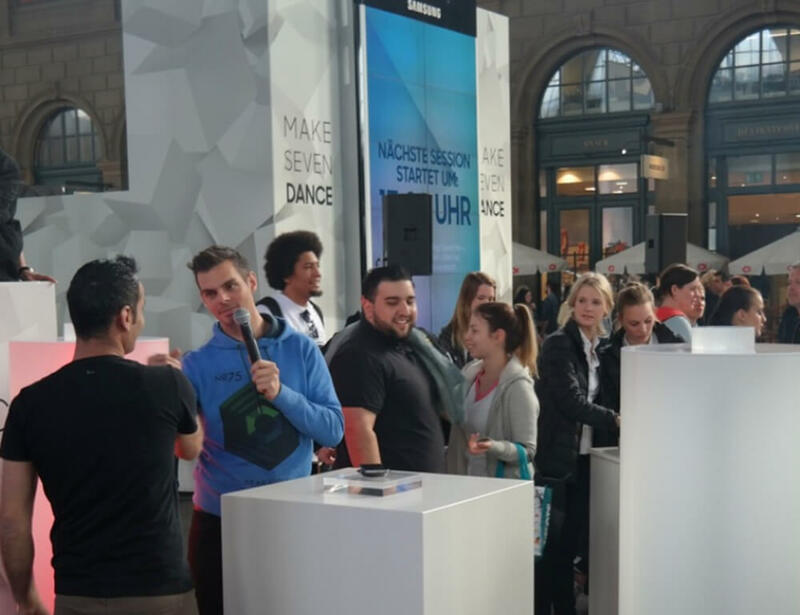 I created an experiential live event to promote the new wireless charging feature of the new Samsung Galaxy S6. 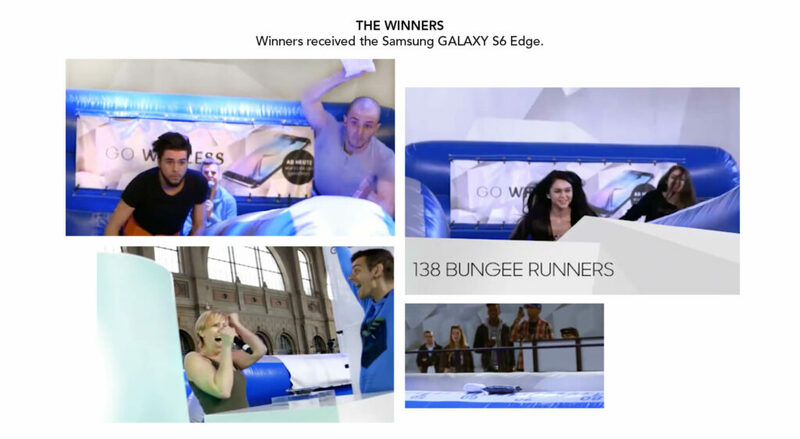 Participants were attached to a bungee rope, phone in their hands, and run as fast and as far as they could. 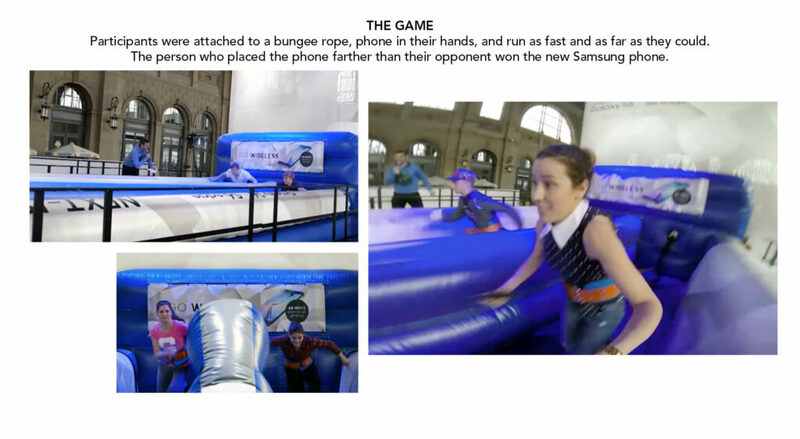 The person who placed the phone farther than their opponent won the new Samsung phone. 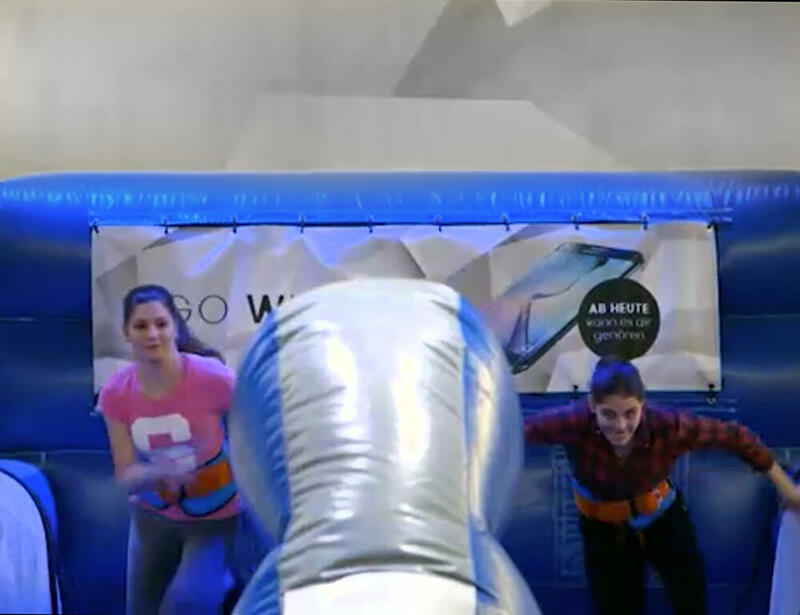 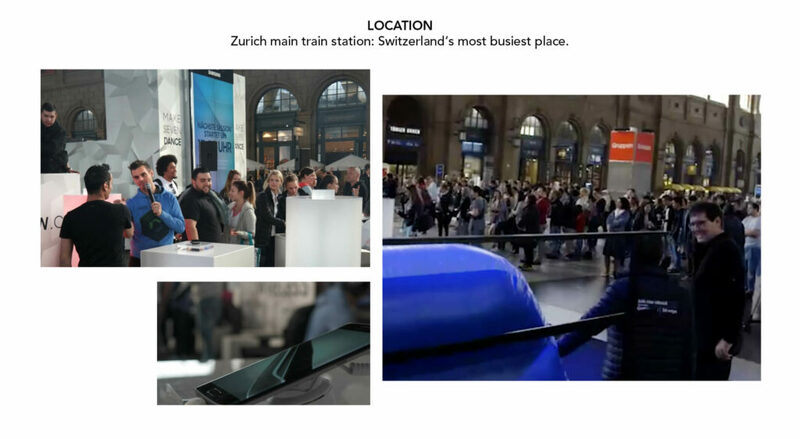 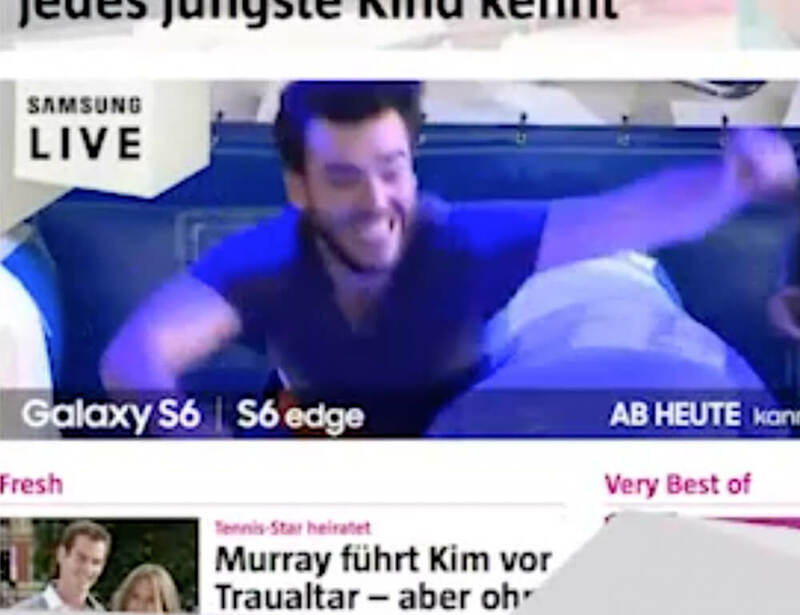 The event took place in Zurich’s main train station, one of Switzerland‘s busiest places and became an immediate online sensation live streamed on YouTube and on prominent news sites.